Business groups are calling for the abolition of “place of last drink” reports, and want it to be legally safer for bars and stores to accept out-of-state identification. 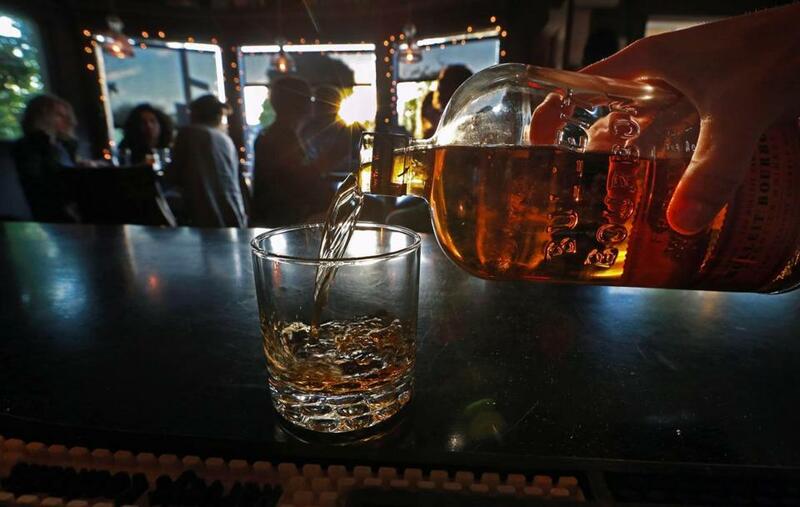 When Massachusetts Treasurer Deborah Goldberg last year announced a major push to rewrite the state’s alcohol laws, the message was clear: Our antiquated and confusing booze rules frustrate businesses and consumers. But just as the treasurer’s Alcohol Task Force begins its work in earnest this month, with a series of public hearings and a call for proposed changes, a legion of public health advocates has suddenly jumped into the debate. Their message is also clear: Not so fast. They argue that loosening alcohol rules will inevitably lead to higher rates of alcoholism, drunken driving, youth drinking, disease, and birth defects — even if each tweak, on its own, seems innocuous and is well-intended. Turncliff and other public health experts say science is on their side, citing studies that show the same policies decried by many businesses and consumers — high taxes and prices, constraints on hours when alcohol is sold, and tight local control over licensed alcohol retailers — reduce the social ills caused by drinking. Undoing alcohol laws that were originally intended to limit consumption could backfire in unexpected ways, they said. 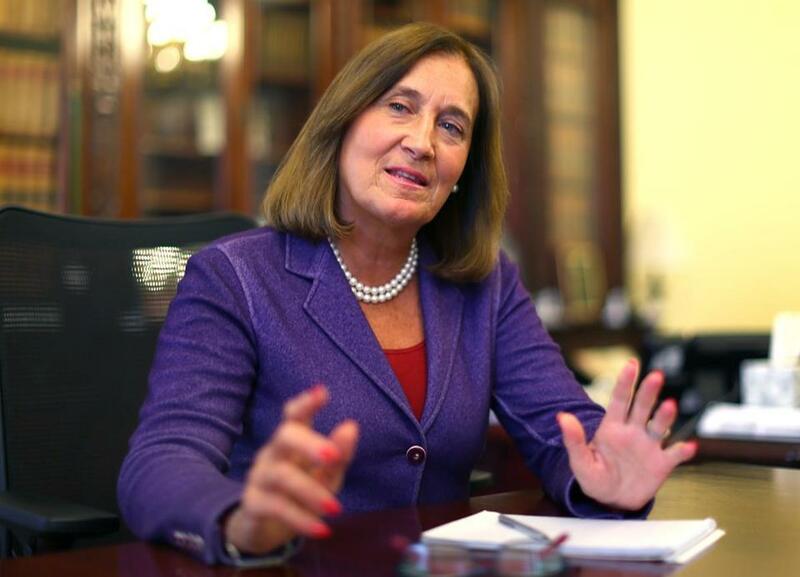 State Treasurer Deb Goldberg is working to update the state’s alcohol laws. “Our laws in Massachusetts are so complex and intertwined that when you pull on one piece, there may be unintended public health consequences,” said Heather Warner, coalition coordinator for the Strategic Planning Initiative for Families and Youth, a health group in Hampshire County. To guide the Alcohol Task Force, Goldberg is planning to create advisory committees of brewers, distributors, and alcohol retailers. The advocates want one for public health issues. They’re also pushing back at some of the changes suggested by businesses, including proposals by the Massachusetts Restaurant Association. One would abolish “place of last drink” reports that local courts collect on the last bar allegedly visited by a convicted drunk driver. Another would make it legally safer for bars and package stores to accept out-of-state IDs. Some public health advocates are even proposing tougher rules: higher taxes on alcohol to fund youth drinking prevention efforts, restrictions on advertising and displaying booze, limits on when alcohol can be sold, including resurrecting the ban on Sunday sales, harsher penalties for bars that sell to minors, mandatory training for alcohol servers, and a prohibition on bartenders younger than 21.
Business groups said they support strict enforcement of rules on underage drinking. But they’re skeptical that loosening and modernizing alcohol rules will spark a public health crisis. Health advocates acknowledged their proposals are unlikely to be popular, but believe that strict rules are the best way to prevent alcohol addiction and underage drinking — scourges that together cost the state billions of dollars, they claimed. There is some agreement between the two sides. Smaller package stores and some restaurants, for example, agree with health advocates that minimum alcohol prices and limits on licenses should be preserved. While limiting drinking, those measures also benefit businesses by limiting price wars, keeping new competitors from entering the market, and preserving the value of alcohol licenses. Goldberg, who oversees the state Alcoholic Beverages Control Commission, has taken a hands-off approach to the task force since it was convened in January. The group was conceived of last summer after a fight over beer distribution regulations boiled over and embarrassing headlines arose from some of the state’s more inane liquor rules. It is made up mostly of lawyers with little connection to the alcohol business, which, Goldberg said, will help insulate the task force from the influence of industry groups and other special interests. Still, she reassured public health advocates that their concerns are being heard, noting that she did not hesitate to sanction alcohol retailers who racked up infractions when she was a selectwoman in Brookline. Goldberg also repeated her call for the Legislature to increase funding for the ABCC so it can enforce existing rules more vigorously. Even so, public health advocates are worried they will be at a disadvantage once the task force’s recommendations are submitted to the Legislature, since many of them work for organizations that receive federal health funding and are therefore prohibited from lobbying. Businesses, meanwhile, are prepared to spend handsomely to push measures that benefit them. The Total Wine & More chain, for example, just launched a large public relations campaign urging the task force and the Legislature to allow alcohol retailers to issue coupons and loyalty cards. Meanwhile, the task force also received numerous requests from consumers to loosen a rule that banned consumers from refilling a growler — a large glass container for beer — at any brewery except the one where they originally obtained it. Earlier in May, however, the ABCC preempted the task force by issuing a new regulation allowing a brewery to fill unbranded or “blank” growlers in addition to its own, which will let customers re-use the same container at multiple breweries.